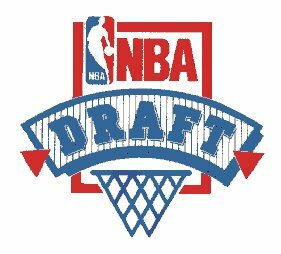 The 2010 NBA Draft, on June 24, marks the day when dozens of young men’s lives will change forever. But this year, league’s most sought-after veterans will obscure the realized dreams of these rookies-to-be. This summer’s free agency bonanza is shaping up to set off the most exciting offseason since…well…maybe ever. So it’s highly unlikely that top prospects like John Wall, Evan Turner and Derrick Favors will get as much attention walking across the stage at The Theater at MSG as players like Dwyane Wade, Amar’e Stoudemire and LeBron James will get while sitting in a chair and signing with new teams. So in an effort to pre-emptively steal the spotlight back for the 2010 rookie class, this Thursday’s Top will break the ten biggest NBA Draft Rumors about the league’s fresh meat. Today’s list is Marz Daily Media’s attempt to add some excitement to the NBA Draft that most people will probably not watch. Thanks for reading. Syracuse small forward Wesley Johnson caused a stir at LaGuardia Airport as his family dragged him—kicking and screaming—through the terminal on the way into Manhattan. He’s been projected to be the third overall pick of the draft, a pick to which the New Jersey Nets own the rights. In fairness, why would any player jump at the opportunity to play for a team that finished 12-70 last season? Xavier shooting guard Jordan Crawford has been rumored to be running up his cell phone bill trying to get some insight on where LeBron James will play next season. Projected as the 30th overall pick, to the Washington Wizards, Crawford reportedly wants to make absolutely sure that he won’t be drafted by the team that signs James. After the buzz he got for dunking on LBJ last summer, getting hazed by him would definitely make Crawford regret ever picking up a basketball. NBA insiders have suggested that Alabama combo guard Mikhail Torrance could have unwittingly damaged his draft value for two reasons: scouts mistook him for Russian (on paper) and sports agents have avoided him because he may be smart enough to make sound decisions (he actually graduated from college). Anonymous sources say that Baylor power forward Ekpe Udoh has been nervous about the draft for weeks. He’s concerned that the team that drafts him will tell him that they were actually trying to draft Baylor’s star center from the women’s team, Britney Griner. The Utah Jazz made waves on the wire by not rocking the boat at all. Projected to draft Nevada forward Luke Babbitt, the Jazz will fulfill their commitment to the state of Utah by drafting the slowest white jump shooter in the field. Don’t believe it? He’s been compared to Keith Van Horn and Chris Mullin. There have been rumors that the Los Angeles Clippers’ projected choice to draft sophomore small forward Al-Farouq Aminu of Wake Forest came all the way from the top of the front office. Apparently, Clippers owner Donald Sterling is hoping that Aminu will help the organization channel the grace of Allah for success, because no other god has helped get the Clippers out of the toilet. John Wall appears to be in good spirits about joining the Washington Wizards as their number one pick, but insiders are saying that the assimilation process got off to a rocky start. Apparently, Wall was visibly disturbed by being searched for firearms before, during and after his workouts with the team. Clearly Larry Bird, the Indiana Pacers President of Basketball Operations, is doing his part to combat the dearth of white players in the NBA by planning to draft Notre Dame forward Luke Harangody. With the addition of Harangody, Bird will add a fifth white player to the Pacers locker room, providing quorum for the team to have its very own basketball equivalent of a Remember the Titans-style season. Evan Turner, projected to be the Philadelphia 76ers pick at number two overall, has already begun his transitioning process in the City of Brotherly Love. The junior shooting guard from Ohio State has added psychological training to his preparation, where paid local sports fans follow him around and shout at him in a bi-polar fashion. Sources have reported seeing Turner being cheered profusely for paying for a cheesesteak with cash, but being booed immediately for not eating it in a way that satisfies them. Cincinnati shooting guard Lance Stephenson was rumored to get into an altercation with Cleveland Cavaliers benchwarmer Sebastian Telfair in the lobby of the Grand Hyatt Hotel this week. When Telfair approached Stephenson to show love, Stephenson instigated a dispute about which of them would be the biggest disappointment to come out of Coney Island since Stephon Marbury. Next: Joe Pesci: From “The Super” to the Super Pimp?